Indoor growing lights can lengthen the growing season of an indoor herb or vegetable garden. Learn how to optimize growth with indoor plant lights. Why use plant grow lights for indoor gardening? While a novice gardener can successfully cultivate flowers, herbs, and vegetables with indoor container gardening, even those with the greenest thumbs can benefit from high quality indoor growing lights. They not only can extend the growing season, but they can also allow plants to reach their potential without ideal climate conditions. For both the hobby gardener and the commercial grower a longer growing season equals more opportunity — more herbs, sweeter fruit, larger vegetables. By mimicking the life-giving energy of the sun, indoor growing lights give plants more time. This is great for growers who live in cooler climates where the spring and summer months are short and unpredictable. Seeds can be planted indoors weeks before the soil is warm enough to transplant, and still be guaranteed optimal conditions. Cloudy days and poor access to indoor sunlight are not a problem with grow lamps. Indoor plant lights can be properly positioned and set to give off heat and light for designated time periods. Not only can warm weather plants such as tomatoes and melons be started indoors with perfect growing conditions, but they can be successfully cultivated in containers throughout the entire year. Grow sun-loving herbs such as lavender and verbena, citrus fruit, and salad greens during the winter months. Keep orchids, hyacinths, and hibiscus flowers blossoming while the world outside is cold and dormant. This has so many practical advantages for those who enjoy eating homegrown organic vegetables throughout the year (and the savings in grocery costs). Using indoor grow lights gives apartment dwellers more options when it comes to growing indoor plants. It is also beneficial for professional growers who need a constant supply of fresh herbs, flowers, fruits, and vegetables to make a living. The other benefit of using indoor growing lights is control. No amount of experience, financial resources, or gardening talent can control the weather — autumn that arrives too early, dry summers, frosts in late spring. Growing plants indoors with grow lamps is a way to circumvent the unpredictable ways of mother nature. The exact hours of sun and warmth can be controlled. Light intensity is decided by the type of growing lamp that is used. Even the spectrum of light that a plant is exposed to can be manipulated to optimize growth. 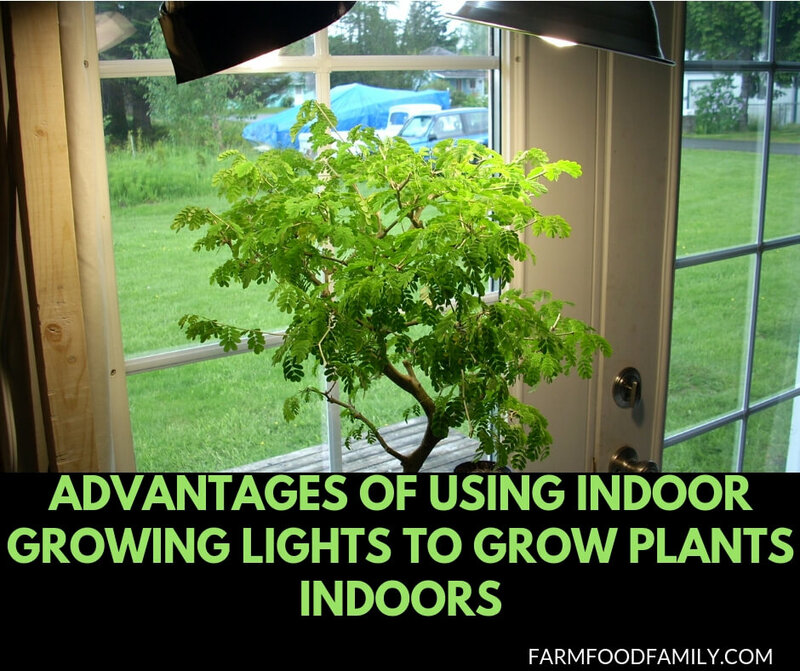 Using indoor growing lights is an opportunity. This technique offers more time for plants to grow, more diversity of plants which can thrive, and more power to the gardener who lives in the Pacific Northwest and wants African violets and lime trees in his living room. It does however require knowledge, patience, and research. Know what type of lamp to use for a particular situation, and how to use it properly to optimize plant growth. Used correctly, indoor grow lights make the sky the limit, even with a roof overhead.